For those of you with a bad review. I feel bad for your spouses!! Owned many deeres and this one rocks. I bought a new 4052r with cab and implements in July. 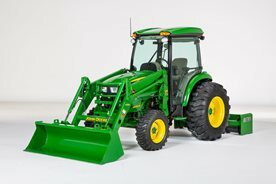 I love the tractor but it has been back to the dealership twice and it has 20 hours on it. 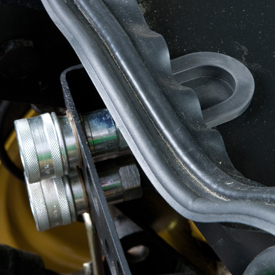 First was for a locked up water pump that destroyed all the belts and the ECU(engine control unit) harness. 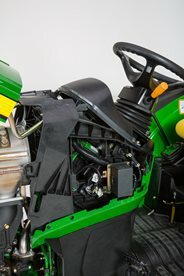 Now it's at the dealership again with a bad sensor on the hydro trans that prevents the tractor from moving. That's right...it will not move. I love the tractor. 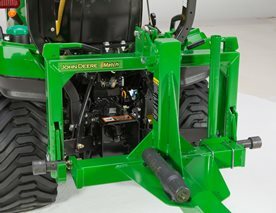 It's easy to handle, has great power and is fun to operate. I am concerned that it is having so many issues so soon. I'm hoping this isn't a glimpse into the future for maintenance issues. I'm also hoping there isn't a systemic quality issue with the 4R series. I have owned several tractors in this size range, and the 4052R is the best of the bunch. Ideal size for my needs. I have a H180 loader and find it extremely easy to control and finesse. 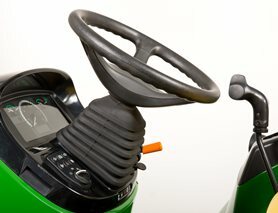 The feature where you can reverse the tractor by pressing a button while standing next to it is fantastic. Makes it much easier to hook up implements. 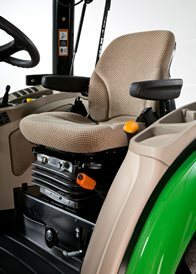 Tractor is very maneuverable and easy to drive. So far, nothing has broken - this was one of the very first 4052Rs made. It is wonderful to start the tractor and not have the barn fill up with smoke and stinky fumes. 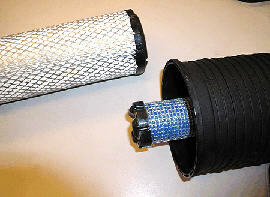 The Tier 4 emissions controls work great and so far have not caused any problems. Another reviewer complained about noise. I don't have a radio or the cab - maybe you would find it noisy if you wanted to listen to classical music while operating the tractor. Or, maybe the cab traps the noise. 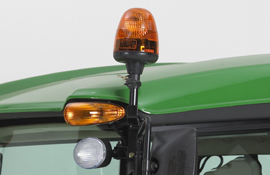 To me, it just sounds like the other tractors I have owned. Some of the controls have markings which I find a mysterious until I look them up in the manual. The fuel filler cap is too high for me - I can't see the level of diesel in the tank when I am filling it, and I am nervously awaiting my first diesel overflow. The chrome hood ornament has elicited smarty remarks from some of my friends. The manual says there are 8 rear wheel width settings and tells you the widths, but offers no explanation of how to change it. I've had a 2720, 3720, and now this 4052r Cab tractor. 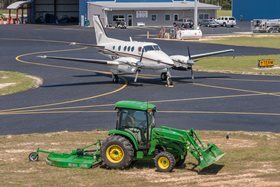 I use this for planting food plots in the spring, mowing in the summer and hauling and splitting wood in the winter. I also have a snowblower for the rear PTO that works well to clear our 300 foot driveway. I have the H180 self leveling loader with a 4:1 bucket which is a bit of a beast and made the tractor more than a bit front heavy. I put liquid ballast in the rear tires and it has balanced the tractor out very well. Having a large implement on the rear 3pt wasnt enough to balance the tractor. I wouldn't recommend this tractor and front loader without the liquid ballast or wheel weights. 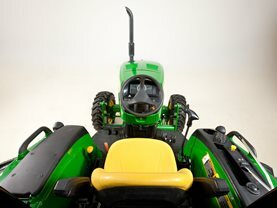 Overall I've been very satisfied with the tractor, especially the comfort cab. The 3720 was a bit more responsive and nimble making it funner for loader work but I'd happily trade that for the comfort cab and larger frame and horse power. 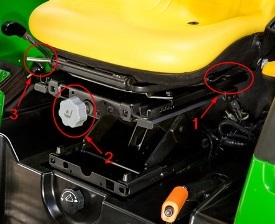 One very nice feature on my 4052r is the tractor controls on the rear fender to assist with connecting implements. 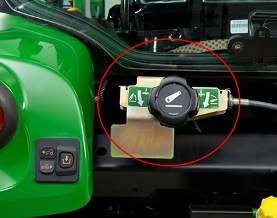 No more going back and forth from the operator console to move the tractor in forward or reverse or raise and lower the 3pt. 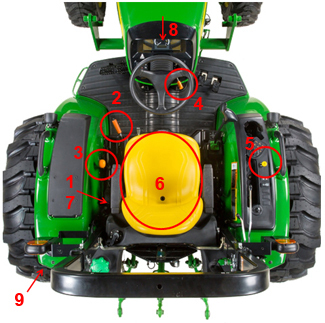 As I just got this tractor and I am still finding things out about it, there are a few things that due stand out. First I Had a Bobcat Skid steer 185s before this one, my brother has a Case 580, and my neighbor has a Kubota and none of them even come close to being as quiet as this tractor is. 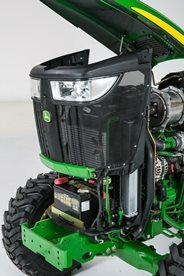 I due agree that the left side door where the battery box is does need a step otherwise it is just a really big door opening which you don't want to leave open and break the door off. 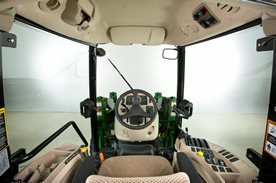 The inside of the cab is extremely nice, but for the novice like me will take some time to get used to.I did notice that the handle for the rear window seems very cheap and appears that it would not take much time to wear and break. 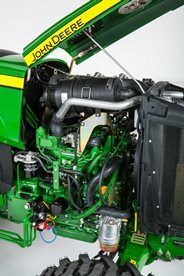 This is a very loud tractor! Even with the factory cab, at full engine RPM, it is one of the loudest tractors I have ever operated. 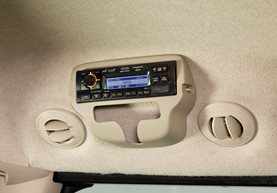 If you want to listen to the Jensen stereo (with its less than impressive speakers) you must have the radio volume near its maximum setting and that just adds to the already overwhelming noise. 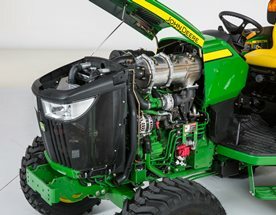 Fuel economy is not the greatest with this tractor, either. 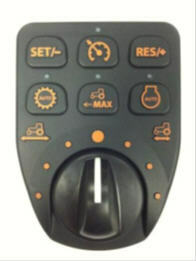 Although I appreciate the external 3-point hitch control, I find it more difficult to use and less intuitive than the fender-mounted rocker switches on larger tractors. 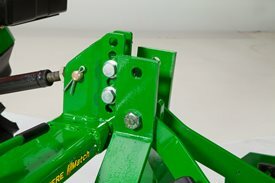 I also think the hitch assist (ground positioning) feature is too “gimmicky” and could have easily been replaced by providing telescopic draft links. 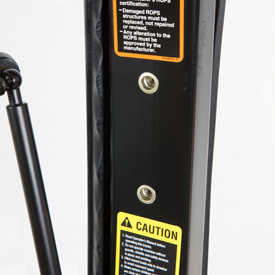 The hitch capacity is also only 2500 pounds which is low compared to the competition. 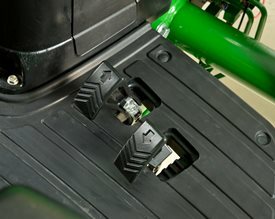 The 3-point hitch control on the console is a difficult-to-precisely-control little nub of a lever and there is no draft control, even as an option. 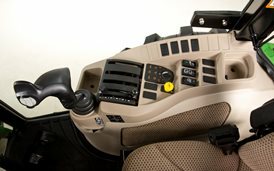 Operator controls are spread throughout the cab rather than being clustered in a common area. 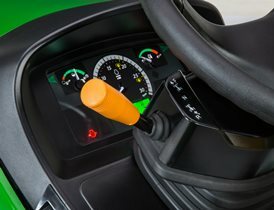 The parking brake and range shifter are to the left of the seat, the throttle and 4X4 engagement lever are on the dash and most other controls are on the right side console. Ideally, all these controls would be consolidated to the right hand console to make operation easier. 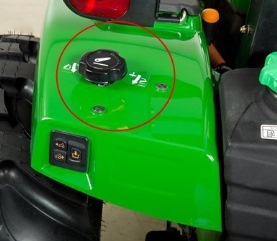 The tractor also makes one wonder “why” to a number of the features Deere brought forth from the previous series without change. 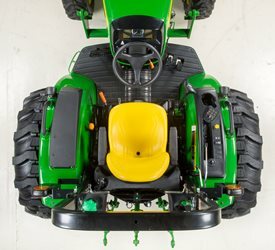 Why make a compact tractor 2 inches too tall to fit under an eight foot tall garage door? 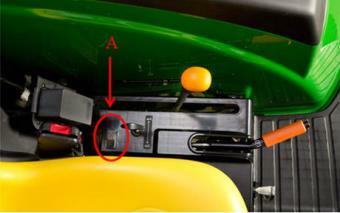 Why put a right hand door on the cab without steps and a hand rail to close the door from inside the cab? 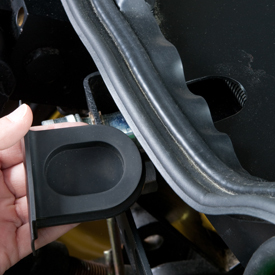 Why require a hydrostatic transmission to get a cab? 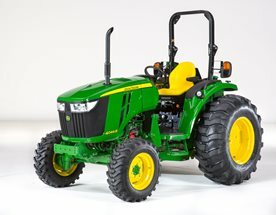 Overall, the 4052R is a fair tractor but not great by any means. It is a warmed over version of a now aging platform and design and is being outpaced by competitors for standard equipment and options. This tractor will likely have a very short stay in my shed before it is replaced. I traded my 3320 in on this tractor all that I can say is what a machine. This is a very powerful machine and with the H180 self leveling loader you couldn't ask for more in a tractor. 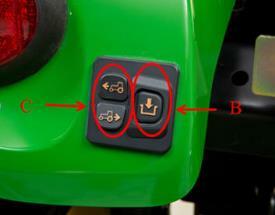 The tractor does need to be ballast as the rear is light if using the loader. My 3320 was a very nice tractor but this is like comparing a ford pinto to a rolls royce.